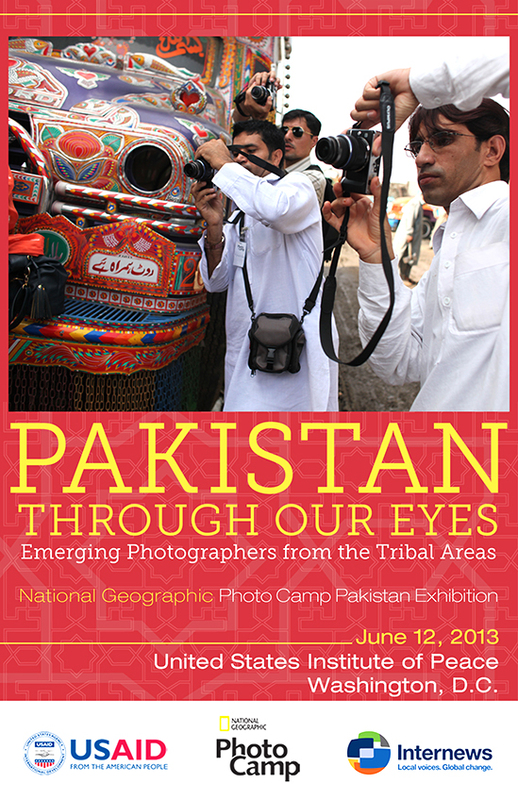 Pakistan Through Our Eyes is a photographic exhibition created in collaboration with Internews, the National Geographic Photo Camps, and USAID’s Office of Transitional Initiatives (OTI). The exhibition demonstrates the value of cultural diplomacy through the work of seventeen up and coming photojournalists from FATA, the tribal region of Pakistan. Internews and National Geographic Photo Camps sent three award-winning photographers to Islamabad in 2011 to train these young journalists, who then spent nearly a year documenting their communities before traveling to Washington, D.C. for a follow up workshop at National Geographic and turning their lenses on the U.S. The exhibition opened at the United States Institute of Peace in June 2012 and will continue to be exhibited through OTI.